J&M is proud to introduce our new line of Portuguese furniture. These products follow a rich tradition of craftsmanship to create furniture of the highest quality. These pieces are hand crafted by skilled artisans using years of experience, research, precision woodwork, and attention to fine detail to achieve unique and complex shapes and designs. Our commitment to excellence can be seen in the careful choice of materials. These premium console tables are crafted out of sophisticated textured wood veneers & natural lacquers. These products undergo a ten step process to create a multilayer lacquer finish to ensure a gorgeous quality effect. This process cannot be automated and instead requires manual workmanship. As you come to expect from our Portuguese furniture, these pieces come equiped with premium soft closing tracks by Blum, a world-renowned German manufacturer that sets the standards for the finest quality furniture hardware. 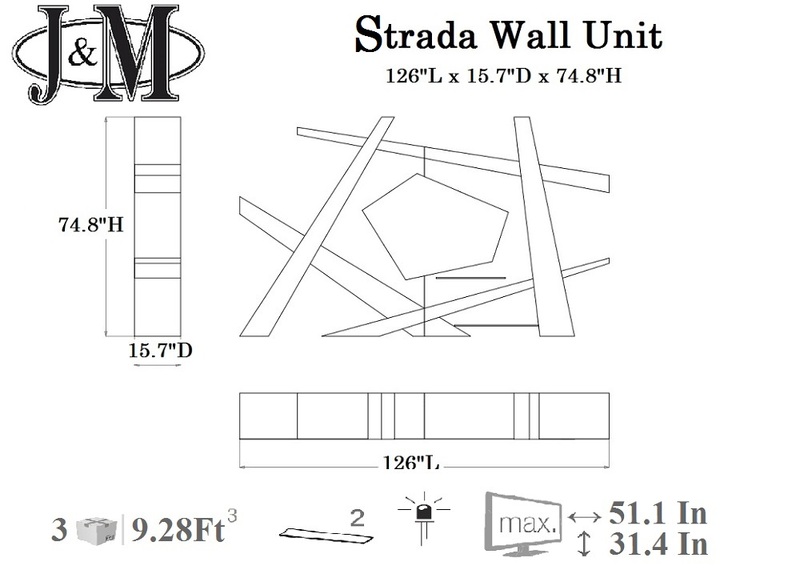 The Strada wall unit features an unique one of a kind design . Crafted in a white gloss with black gloss black panel for a striking contrast, this wall unit also features blue L.E.D's on the back panel for a eye-catching finish. 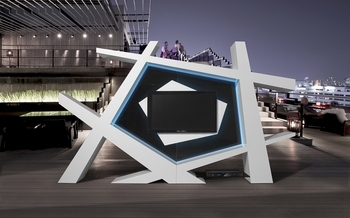 The bottom shelf features precut holes for easy cable management of media devices.